Flock works in partnership with designers, architects and engineers, according to the needs of the project to be developed. It is an open space for professionals who are interested in discussing beneficial spaces and product development. Léa is an architect and urban planner (University of Campinas, 2006) and Master in urban environmental management and spatial planning (Wageningen UR, the Netherlands, 2011). She has experience in design and consultancy in urban and regional planning, green building and circular design in Brazil and in the Netherlands. During her master’s, she has specialized in Cradle to Cradle in the built environment. 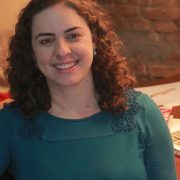 Carla works as a designer, visual artist and facilitator for innovative processes. She has lead technology advisory services, creative labs, workshops and other collective processes for various companies and institutions. Her projects and technologies for discarded materials have been recognized by awards from the Latin American Design Foundation and UNESCO, among others. She graduated in History at the University of São Paulo and specialized in Design for Sustainability through UMAPAZ / Gaia Education. 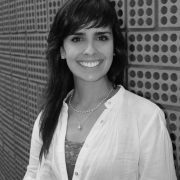 Katia is an architect and urban planner (Unicamp, 2005) and technical in building construction (Getulio Vargas Technical School). She has experience in residential, commercial and institutional architecture design and is spetialized in accessibility projects for people with special needs. She is a founding partner of Okna Architecture and Design and 100pepinos website, which simplifies information for those who want to remodel or build. Marta is an architect and urban planner graduated from the Escola da Cidade in 2012. 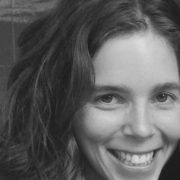 She works with interdisciplinary projects towards the integration of man and nature through the use of integrated planning methodology and closing cycles of water, nutrients and energy. She believes in the biodiversity maintenance and understands that architecture is an art that is able to build healthier environments, which can support the continuity of life on Earth. Juliana is an architect and urban planner (University of Sao Paulo, 2008), and Master in “Projects for Sustainable development” in Sweden (Chalmers University of Technology, 2011) and in “Architecture, Energy and Environment” in Spain (Universidad Politecnica de Cataluña, 2011). She is currently a PhD candidate at the University of São Paulo – Engineering and Material Science with the theme: “Bamboo as an industrialized and structural material for urban environment”. She has experience in projects and consultancy in bioclimatic architecture, ecological urbanism, energy efficiency and environmental certification for buildings.